Despite the algorithm changes which have made using the platform a nightmare (especially for us bloggers, anyway), it seems Instagram isn't going anywhere soon. I constantly find myself casually scrolling through endless pretty, aspirational photos which not only are lovely to look at but also inspire me to create better content. It seems that brands are cottoning on to our love for the social media platform too. We're now seeing whole makeup ranges based on our Insta-obsession and the idea of being 'selfie-ready', such as this Primark range and the new collection from Rimmel which launched last month. 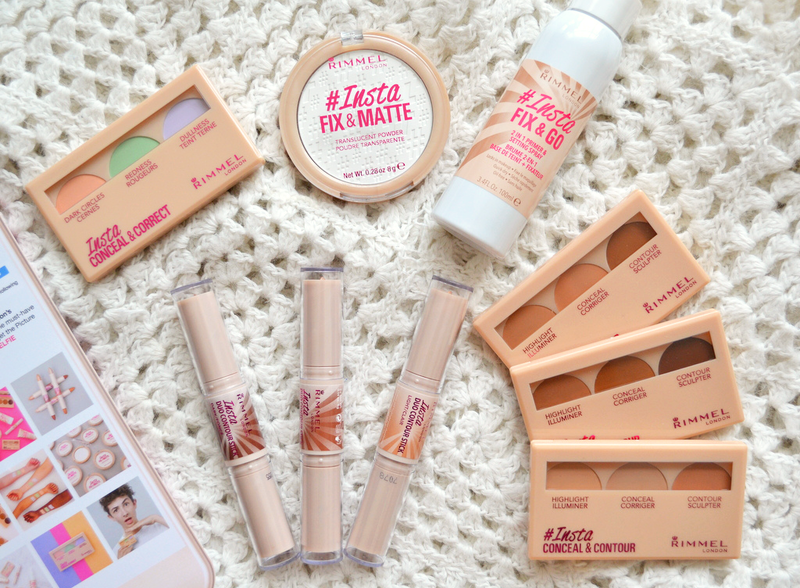 Rimmel have been creating oodles of new products at the moment, so here's the low-down of what you need (and what you don't) from this 'picture perfect' collection. 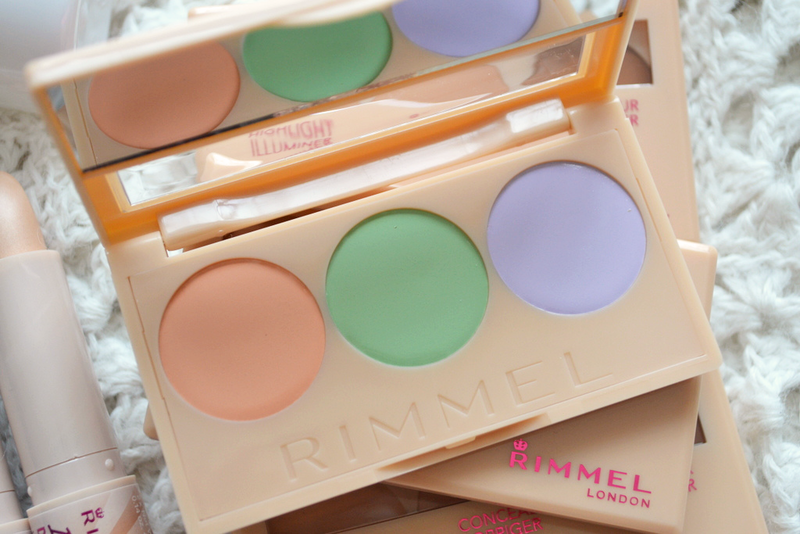 I'm kind of over colour correctors, having tried a couple of palettes when they first started being launched by more affordable brands about two years ago. I think I used them for a little while and then got bored and stuck to my usual concealer. It was just an extra step in my makeup routine that really wasn't necessary. I don't think there is anything spectacular about this Rimmel trio if I'm being perfectly honest; it seems to offer the same thing as so many others out there. Don't get me wrong, the formulas have a lovely light and creamy texture (sounds like I'm in a Muller advert) and I must admit that I do adore the orange shade, designed to cover dark circles. This does work wonders for my under eye area and it's something I've been using quite regularly as a nice little extra to my makeup. 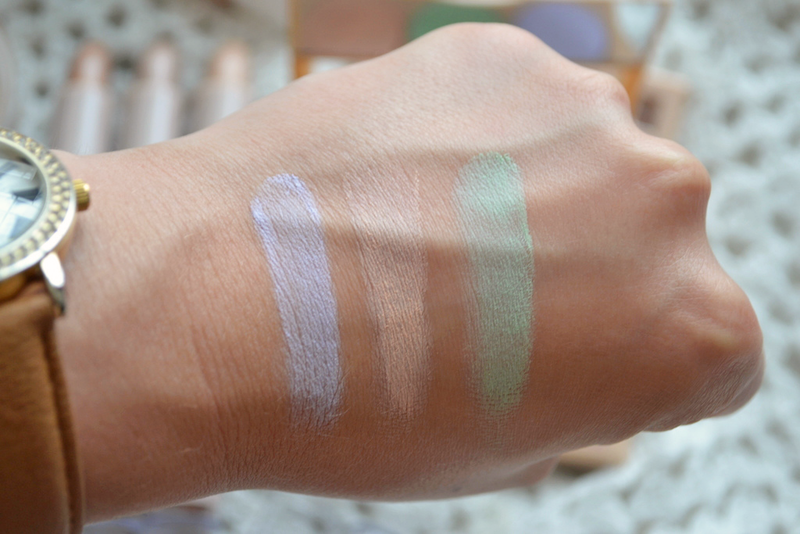 The green shade, used for concealing redness, doesn't blend too well in my opinion, and the lilac (for dullness) is OK but not stand-out. I find it sits awkwardly in any dry patches or creases though so maybe one to avoid if you are conscious of exacerbating fine lines or dry skin. It's nice, but you don't need it. These palettes come in three shades (light, medium and dark), which shows a little bit of diversity (kudos) but is still quite limited; however, for a cheap, does-all contour palette I wouldn't expect much more. This is one product that I have been really loving; I've been using the contour shade from the 'light' palette and it matches my skin tone perfectly. 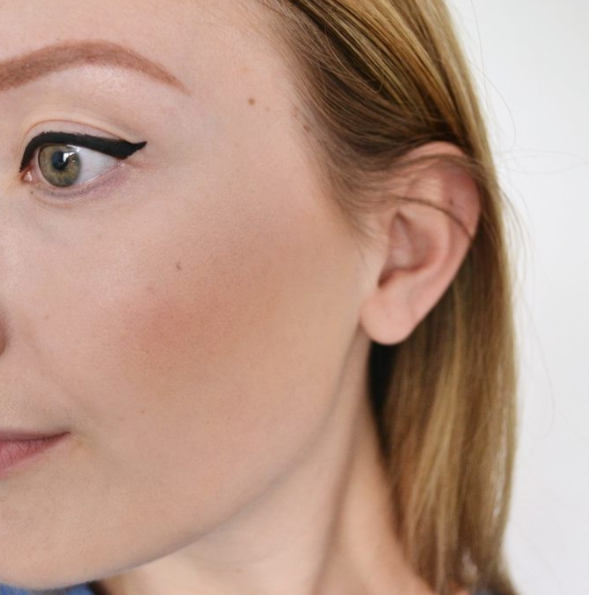 I've never really dabbled in contouring and found this was the perfect way to ease into it- not too Kim Kardashian-esque but easy to build, blend and gives a really subtle look. I have been using this every day, using my finger to gently blend the product underneath my cheekbones. The concealer in this palette is also fab, but the same comments regarding the product sitting in fine lines and dry patches apply again. The highlighting shade has no shimmer and doesn't do much, so I've ditched this in favour of my one true love aka the Sleek Solstice palette. 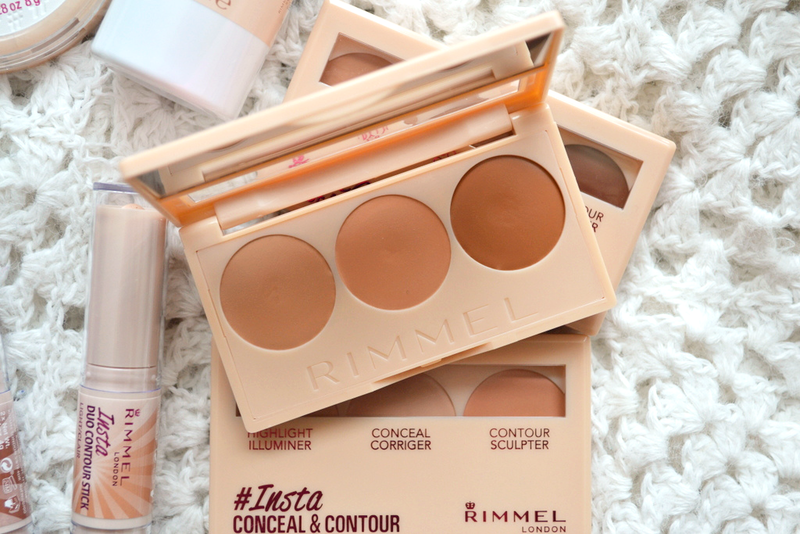 If you want an easy way into contouring (or just a compact all-in-one product to take on holiday) then I would definitely recommend giving this a whirl. I thought I would get most use out of these, but I haven't bothered with them at all. 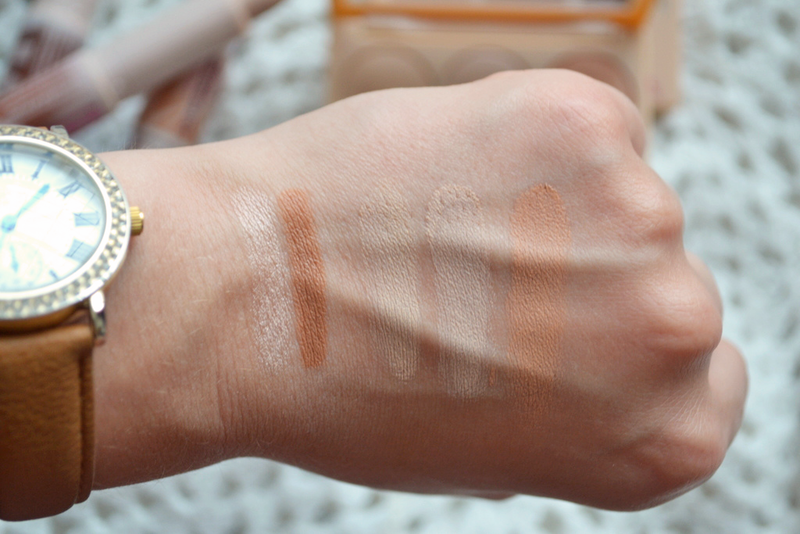 Again, these come in three shades (light, medium and dark), with the contour shades seeming the same as those within the palettes (or, if not, very similar). The highlighting shades are quite pigmented and have that same creamy texture, but I'm not personally a huge fan of cream highlighters. I much prefer a powder palette for a bit of glow! If you don't mind this texture, or if you want something easy and compact for travelling, then it isn't a bad product. My personal preferences just mean I haven't been turning to this on the reg. Now, this is something you all do need. 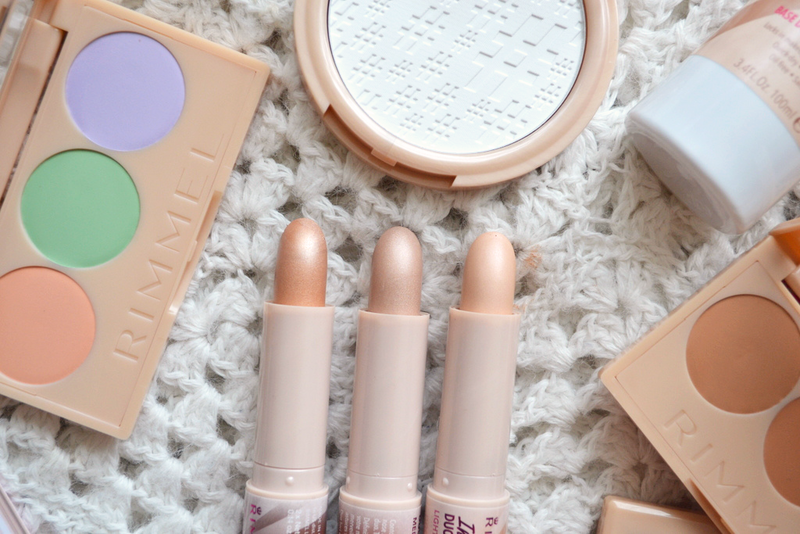 I've been a huge fan of Rimmel setting powders since I first started wearing makeup (!). 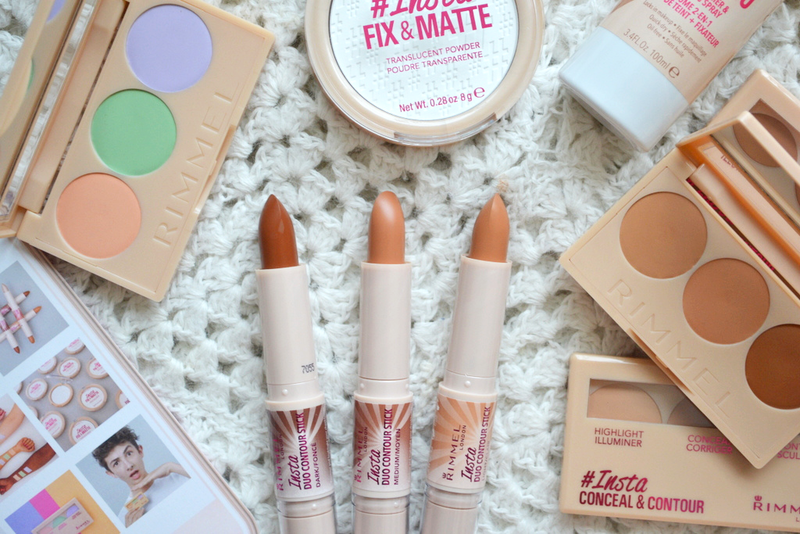 Their Stay Matte has always been in my makeup bag, and I honestly think it's one of their best products. 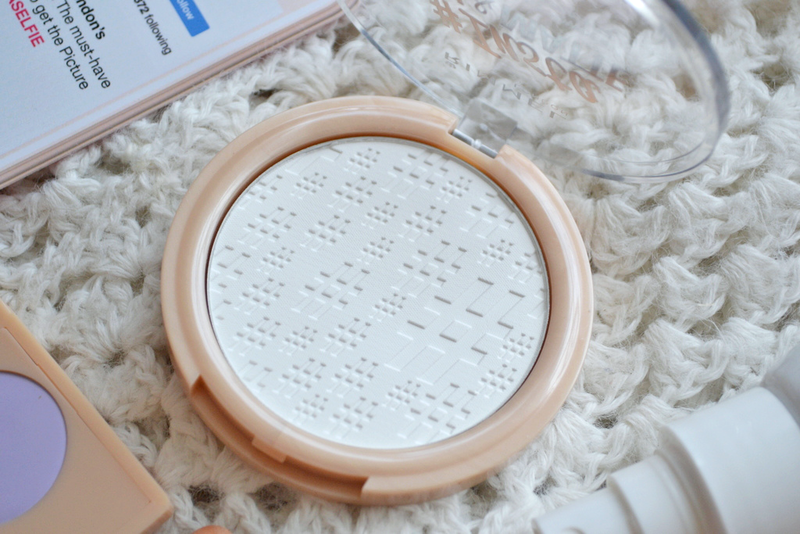 Rimmel have created another winner with this new powder; not only is it covered in cute little #hashtags, but the fact that it is translucent means it's suitable for all skin tones. It doesn't cling, but just provides those finishing, setting and mattifying touches to your makeup. An absolute steal too for under a fiver! Lastly, another product that I really do love from this range. Ok, it's probably not the best setting spray out there when competing with the likes of Urban Decay, but I personally think it's one of the highlights of this collection. I usually spritz this product over my face before makeup but after skincare, and then spray again over my finished makeup to keep it in place. The setting and priming qualities are meant to keep makeup in place all day, and I really don't think it does too bad of a job at this. I have noticed my makeup 'slips' less, and it was a bit of a saviour in this recent heat (not least because it was so cooling and refreshing!). I think there is also a tinted primer in this range but I haven't tried it out so cannot vouch for it, but it seems like quite a nice, lightweight foundation alternative for summer. This range is a bit hit and miss with regards to quality, but there are a couple of great products in there that I'd recommend picking up. It's a shame the packaging isn't more 'Insta-friendly' as I feel as though that would have kept with the theme quite nicely- it does feel a bit cheap but it is a budget brand so I can't really complain! What pieces from the collection are you eyeing up? Have you tried any of the new products? It sounds like for the price they are reasonable. 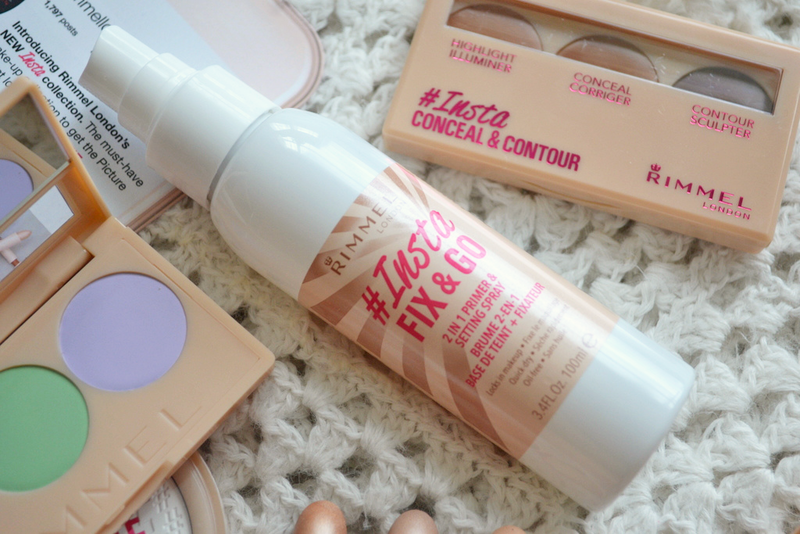 I really want to try the powder and setting spray now! These all look so good - I need to try the conceal palette.